"The CID-IADC offers an eleven-month program for senior military and government officials that covers governmental systems, the current international environment, and the structure and function of the Inter-American system, and offers an opportunity to study broad-based security issues affecting the Western Hemisphere and the world. 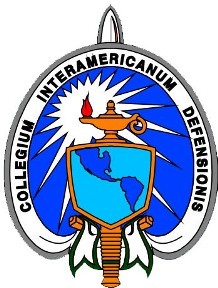 The Inter-American Defense College (IADC) is an international educational institution operating under the aegis and funding of the OAS and the Inter-American Defense Board. It provides a professionally oriented, multidisciplinary, graduate-level course of study. This eleven-month program provides senior military and government officials with a comprehensive understanding of governmental systems, the current international environment, structure and function of the Inter-American system, and an opportunity to study broad based security issues affecting the Hemisphere and the world. The IADC was formally opened on 9 October 1962. Each member country of the OAS may submit candidates for attendance at the IADC. Since its beginning, over 1950 students from 23 different countries have graduated from the college. Over 40 percent of the graduates have risen to general officer/flag ranks or the civilian equivalent. They occupy senior leadership roles in their respective countries.